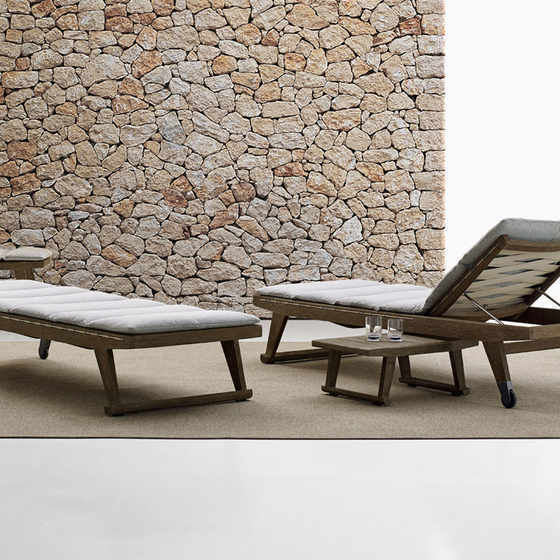 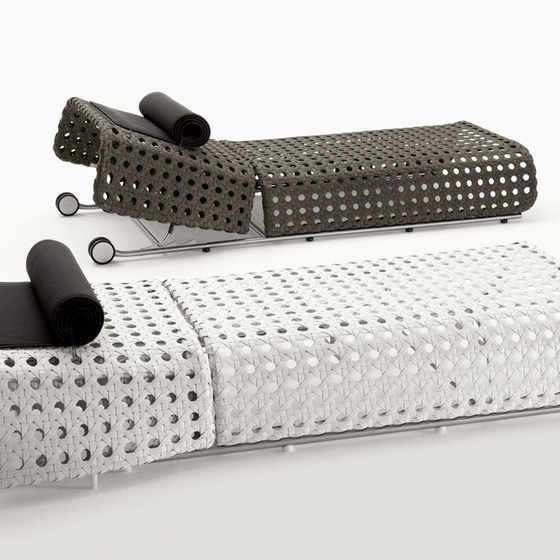 With long and slim dimensions, the sun lounger is the perfect outdoor accessory. 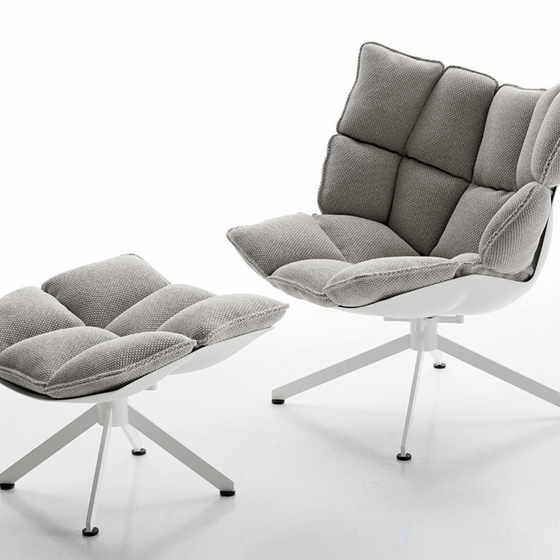 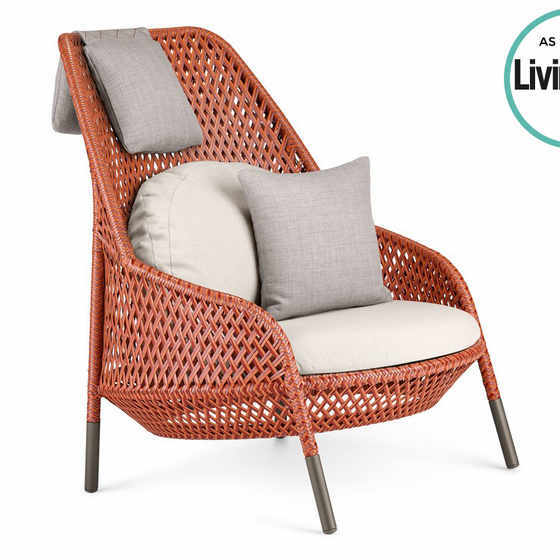 Available with an adjustable headrest, the seat can be adapted to your needs - positioned at an upright angle the lounger is perfect for reading a book, or when fully reclined it can be used for resting or sunbathing. 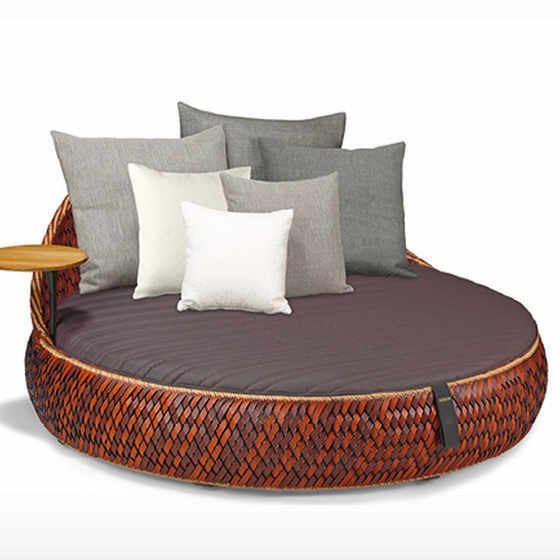 A loveseat is a beautiful option for the garden, making the most of the ample space, with a large seat that allows for two people to curl up inside its boundaries. 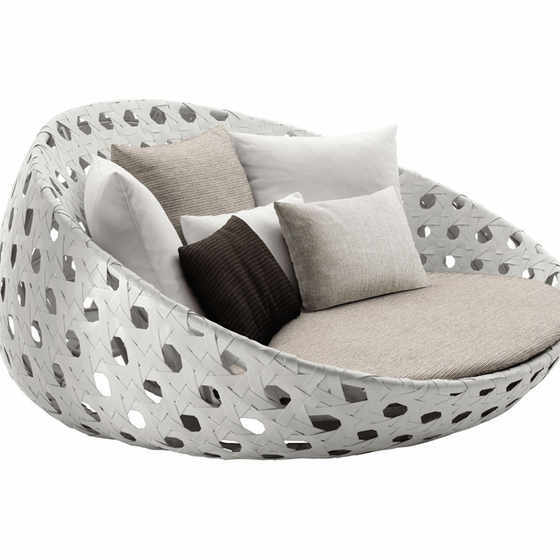 A loveseat has a casual and sociable feel, adding another dimension to an outside space. 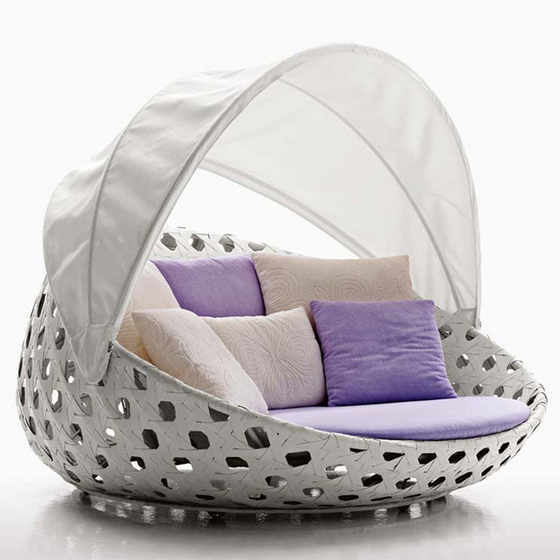 Some designs have an adjustable canopy that provides a shade, making the loveseat a cool spot to sit in on a summer’s day. 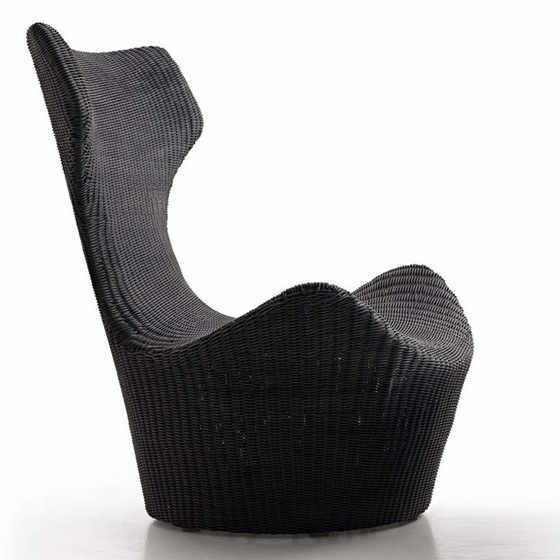 A floor rocker is the ultimate in fun and casual seating - a curved form sits directly on the ground, and is shaped so that the user can relax - and rock - on it whilst outdoors. 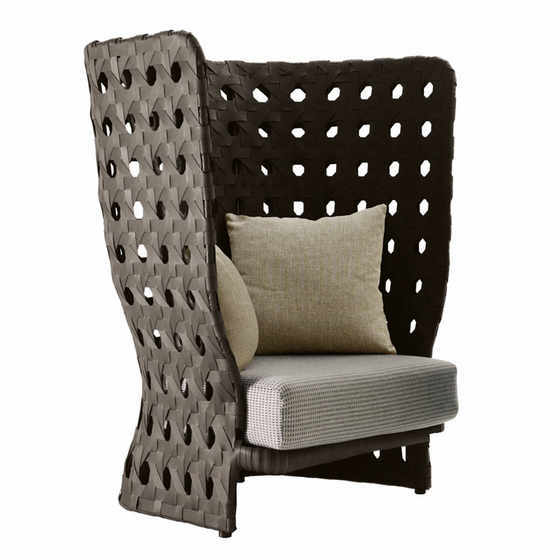 This unique design has an bohemian charm, and is a playful addition to any outdoor space. 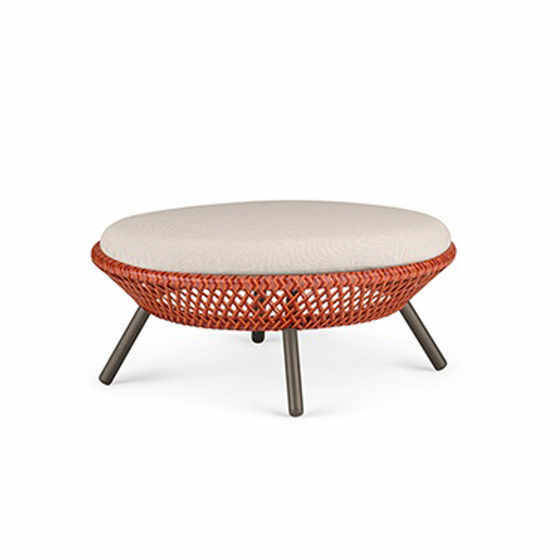 Accessories such as a stool or footstool can be useful and beautiful in an outdoor setting - providing flexible and functional seating that can be put to use in different ways depending on the occasion. 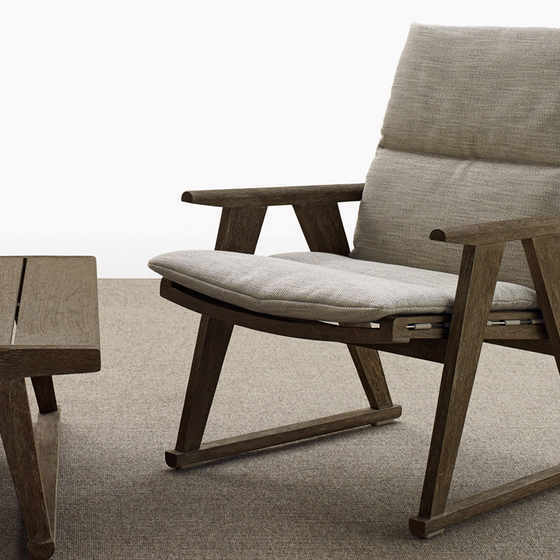 The materials used in luxury outdoor lounge chairs must take into consideration the challenges of being out of doors. 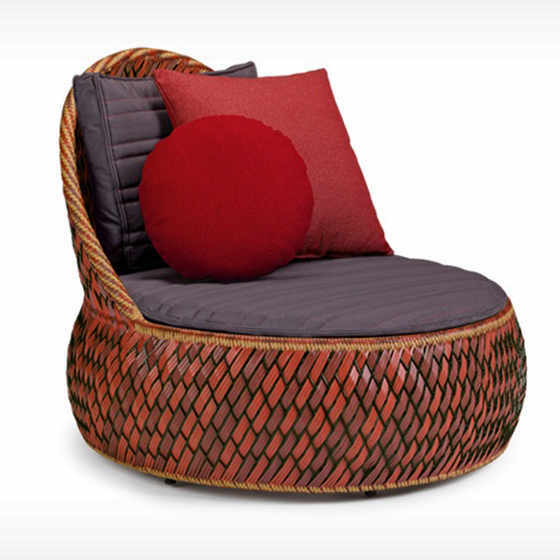 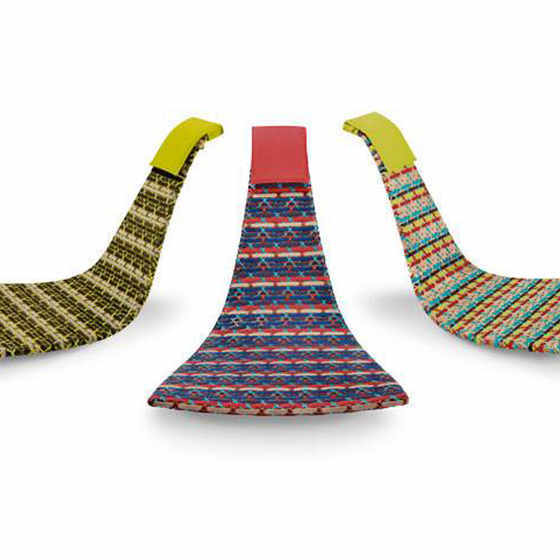 Designers have risen to this challenge, and by using high-tech materials and finishes, they ensure that each piece is made in a material that is practical and durable in an outdoor setting. 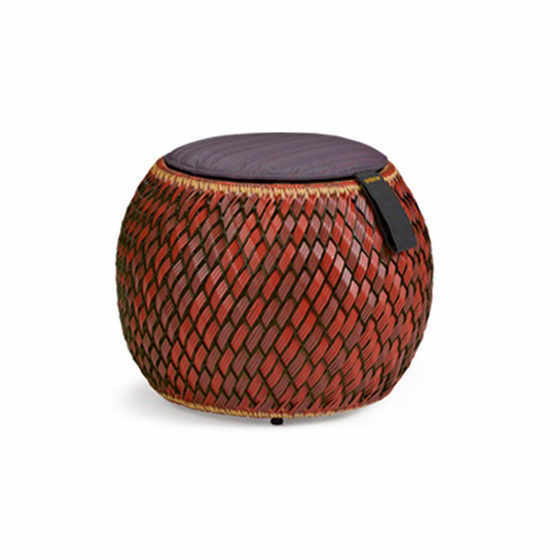 Choose from items made in interesting woven materials that bring both texture and colour, or solid wood furniture that shows off its beautifully patterned wood grain or ultra-modern coated metal. 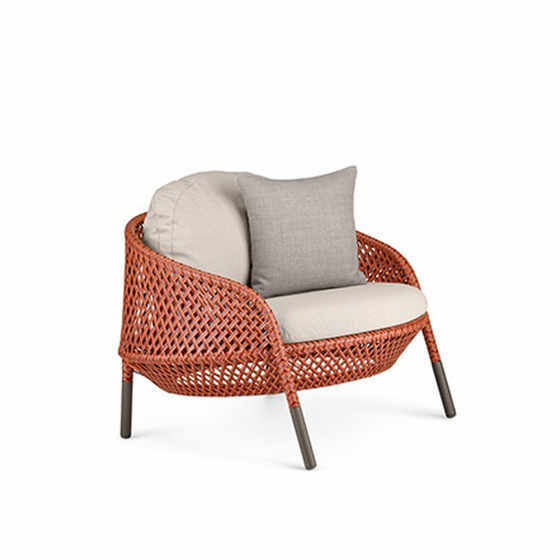 The upholstery is available in a wide range of colours and textures, making it possible to personalise your bespoke outdoor lounge chairs so that it is in keeping with the rest of the outdoor design scheme.